August 29, 2017 - Fiber Arts and Beads on the Beach is almost here! now being offered and can be shipped immediately. 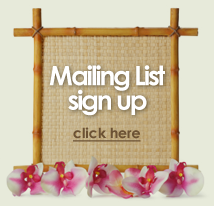 QOTB Registration - CLICK HERE! 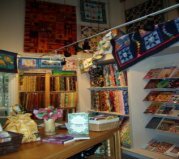 Welcome to Quilt Passions Quilt and Needlework Shop, your destination for Hawaiian themed quilts, patterns and books. We carry high quality fabrics, specializing in batik prints and vibrant tropical fabrics. Because our Hawaiian quilt patterns are created by local designers, they capture the culture and history of the islands. For those who don’t sew, we feature an impressive collection of ready-made Hawaiian and Island style quilts available for purchase. 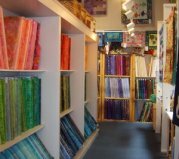 Additionally, we offer a variety of knitting, crochet and embroidery notions including patterns, kits, yarn and DMC floss. Visitors are always welcome to join us for classes (loaner sewing machines and notions kits are available at no charge for our guests). 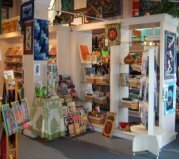 We are located right next door to the Kona Hawaiian Quilt Museum and Gallery, where you can learn all about Hawaiian quilting and see a display of vintage and contemporary Hawaiian and island-themed quilts. 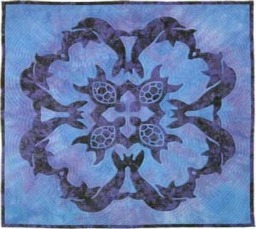 Come share your passion for quilting with us!